Freshly-groomed trails and deep powder greet skiers in Wisconsin and beyond, the result of a plentiful winter season. Serious downhillers dealing with or recovering from anterior cruciate ligament (ACL) injuries may be asking themselves, "How long do I have to keep off the slopes?" According to UW Health Sports Medicine orthopedic surgeon Geoffrey Baer, MD, perfect ACL health isn't as crucial to their sport as it is to, say, a football or basketball player. So skiers may be able to return sooner than they think, with a few precautions. "(The ACL) is not as critical in downhill skiing as it is for athletes in sports with more cutting," Dr. Baer says, adding that many ACL injuries for skiers don't occur while they're skiing. "They do it during a fall. It's pretty rare to injure your ACL while skiing." That's because the large muscles of the quadriceps, rather than the knee, absorb the majority of the pressure during skiing. Backward-twisting falls, known also as "the phantom foot" in some downhill corners, cause the most ACL injuries among downhill skiers. As the term implies, skiers who lose their balance often fall back and twist to one side, with their skis serving as something of an injury fulcrum. The equipment that keeps the skis attached to the skier during a successful run is problematic during a wipeout. "Their bindings are on so tight that the ski doesn't pop off," says Dr. Baer, "and the knee can twist awkwardly as the skis continue down the hill, putting the ACL in jeopardy." For those who do damage the ACL during such falls, the key to getting back on the slopes is diligent rehabilitation to rebuild strength in the legs. And getting stronger, particularly after surgery, involves the one thing many skiers who want to jump right back on the lifts don't have. "You have to give it time, to allow the graft to mature," Dr. Baer says. "That is probably a six-month process with your own tissue, maybe a little less with donated tissue. You have to build that strength up so that when you are skiing, you are able to hold that edge." UW Health's Sports Rehabilitation athletic trainers and physical therapists offer a comprehensive ACL rehabilitation program, which incorporates stretching and strength-enhancing drills within its five-phase, progressive testing protocol. In addition, the TotalCare online education system offers extensive resources for patients undergoing surgery and recovery, including rehabilitation. Physical therapist Bryan Heiderscheit, PhD, has devoted a good portion of his recent career to developing assessments that accurately reflect a rehabilitating athlete's readiness to return to sport. "Over the last several years we've come to realize our testing criteria weren't quite as stringent as they should be, based on re-injury risk," he says. "So we've begun to institute more rigorous tests." One of these tests involves the athlete performing a two-footed vertical jump on a platform equipped to measure the work each leg is performing. What, you may ask, does jumping have to do with downhill skiing? "We're not interested in the height of the jump," Dr. Heiderscheit says. "We want to know what sort of power output they can achieve, and whether it's symmetrical," meaning both legs are contributing equally to the jump. Asymmetry indicates a deficit, meaning the muscles aren't working as efficiently as they should even if measurements reveal them to be strong, says Dr. Heiderscheit. Athletes rehabbing ACL injuries may "show as much as 20 percent deficit a year after the injury. Healthy people are within a 3 to 5 percent asymmetry. Twenty percent is well outside a normal range, which means they're not using their strength appropriately." A shift in rehabilitation strategy may be in order, until athletes "have the confidence to load their knee," says Dr. Heiderscheit. 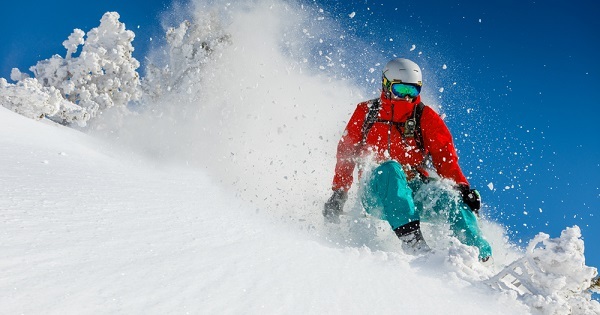 Dr. Baer calls this "knowing where their knee is in space," and until skiers can make this connection without anxiety, they may be better served staying off the black diamond hills for a little while longer.